Officials say there's no reason to believe a Matteson man arrested Friday morning near Chicago City Hall with two guns on him was planning on harming anyone at the Blackhawks' Stanley Cup victory celebration. Still, 37-year-old Roger Harrison faces two felony counts of unlawful use of a weapon and one count of marijuana possession. Bail was set at $75,000 Saturday when Harrison appeared in bond court, according to the Chicago Tribune. 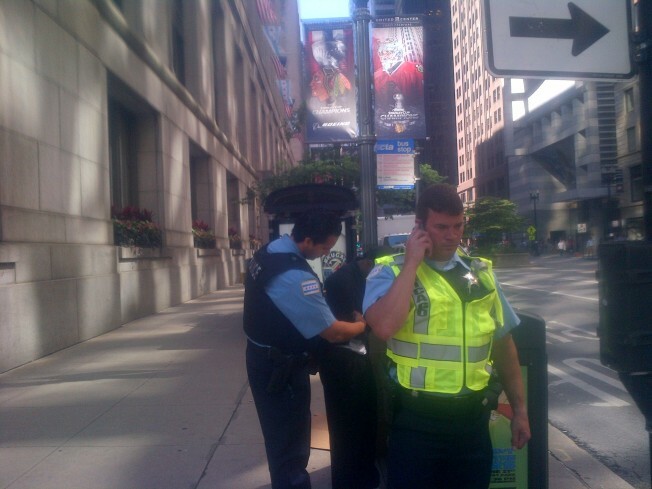 Harrison, of the 3100 block of Holden Circle, was taken into custody just moments before the Blackhawks parade traveled east on Washington Street. An officer stopped Harrison and asked to check his backpack. Harrison initially tried to walk away but the officer refused to let him leave and began the search. He was quickly handcuffed and put into a police van parked on LaSalle Street after the officer discovered a gun in Harrison's backpack. Another officer found a smaller gun in Harrison's pocket. At least one of the guns appeared to be loaded. Adam Collins, a police spokesman, told NBC Chicago via email: "As we made clear prior to today’s events, police would be doing searches of large bags and backpacks and this arrest is a clear example of the effectiveness of those efforts." Based on a conversation with Harrison, officials said there was "no indication he was planning anything." Another man was arrested near the same location but there was no immediate word as to why.